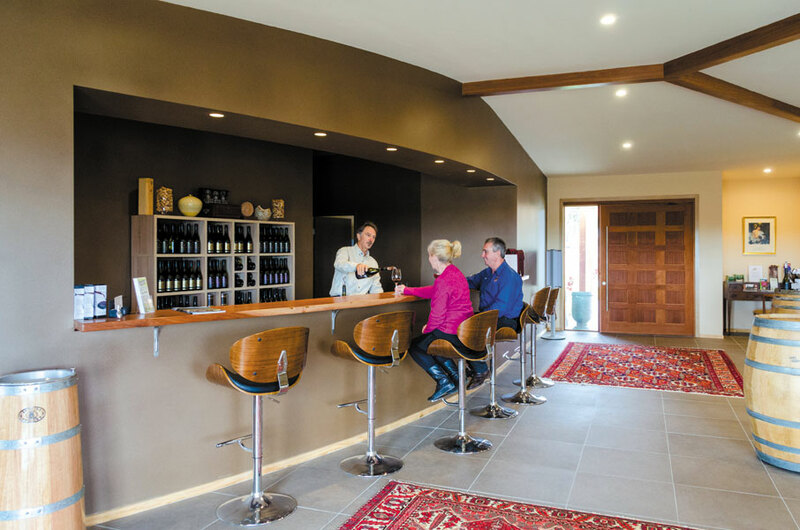 A visit to Savina Lane is a premium wine experience – a tasting trip through some of the Granite Belt’s finest alternative variety single vineyard wines. Try Fiano, Viognier, Tempranillo and Graciano or the superb cool climate Shiraz. Future releases will be Montepulciano and Petit Manseng. 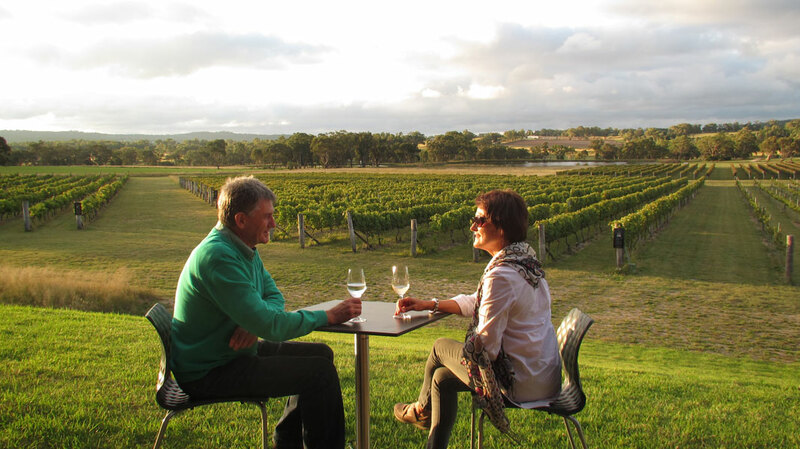 Wander through one of the region’s loveliest vineyards or relax in a leather armchair in front of a log fire in the beautiful cellar door. Sit on the terrace and take in the glorious views. Or just grab a barstool and enjoy a chat with Savina Lane’s owners – two passionate vignerons who will offer you a taste of their medal-winning wines while telling you all about the variety’s origins and tempting your palate with suggestions for ideal food and wine pairings. In the retail boutique you will discover some exceptional winter wear made from possum fur, merino wool and silk, as well as a range of prestige wine accessories and giftware. (Brad & Cheryl Hutchings, owners of Savina Lane Wines). Vines have been grown at Savina Lane for more than 50 years. Now the baton of stewardship has been passed to us. We take our role as custodians of this lovely little slice of the Granite Belt seriously – protecting and nourishing it and rehabilitating where necessary, so that life in all its forms will continue to flourish here long after we have gone. We strive to achieve good eco-credentials: designing our facilities to avoid the need for air conditioning, spraying only natural compounds wherever possible (and at an hour when our tiny ladybirds are not busy enjoying their breakfast – these little predators are a wonderful natural way of controlling pests in the vineyard). We also use only organic fertilizers. 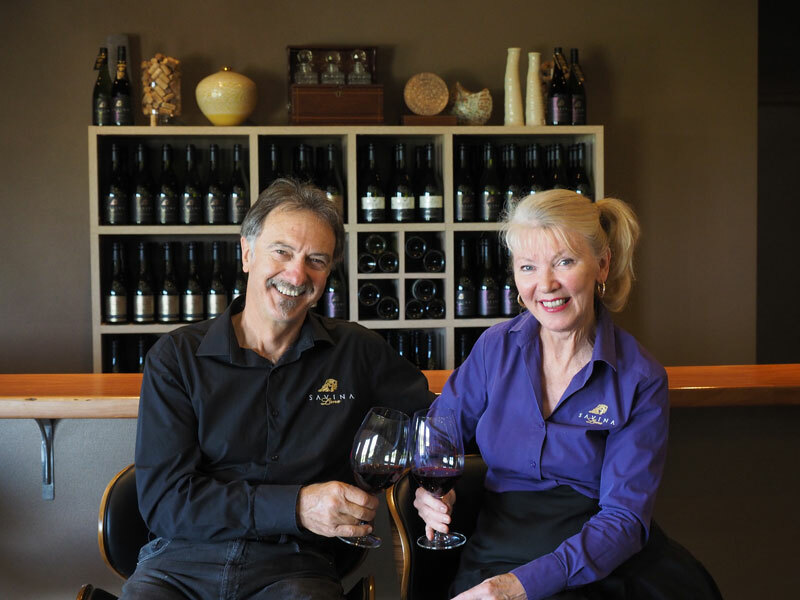 Both of us had successful business careers before coming to Savina Lane – (Brad in horticulture, agri-business, marketing and project development and Cheryl as a writer and Creative Director in the advertising industry) – so we knew the best way to achieve our aim of producing premium wines from the quality fruit we work hard to grow, was to seek expert advice. This we found in abundance from renowned winemaker Mike Hayes, who as well as being a Churchill Fellow, an Adjunct Professor at USQ and multi-award-winning winemaker, also has a lifetime of experience in viticulture. We specialise in alternative varieties - known on the Granite Belt as "Strange Bird". We currently produce, Fiano, Viognier, Tempranillo, Graciano and Shiraz. Our beautiful new cellar door is now open. The elegant tasting room is furnished with designer leather lounges and thick hand-knotted oriental rugs. Visitors can choose to taste our medal-winning alternative varieties in front of a log fire, in the sunshine on the terrace overlooking the vines or seated on comfortable stools in front of the long iron-bark bar. There is a wine accessories boutique with a comprehensive range of intriguing and useful items to enhance your wine experience. Visitors are encouraged to enjoy a stroll through the vineyard where interpretive panels on each variety give fascinating details about each vine type. Our cellar door is open Wednesday to Saturday and most public holiday weekends from 10am to 5pm. Other times by appointment.